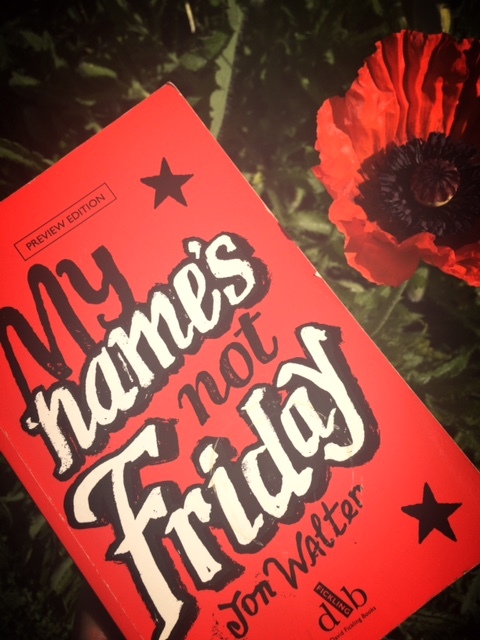 It’s not often I review books – mainly because of time constraints – but when I read the proof copy of My Name’s Not Friday by Jon Walter, I felt truly compelled to tell people about this wonderful book that’s on its way (published July, 2015). For those of you familiar with Jon Walter’s debut, Close to the Wind, you’ll already know that he is a skillful writer, capable of tackling important yet unsettling issues with subtlety and humour, evoking such strong emotions that he’ll leave you both hopeful yet heartbroken at the same time. After such a stunning debut, I was intrigued to see what he would do next, and how he would evolve as a writer. My Name’s Not Friday is set during the American Civil War, told through the eyes of Samuel, an orphan boy who gets sold into slavery and ends up working on a cotton plantation. Estranged from his younger brother, Samuel is intent on surviving the awful trials and challenges that come his way, so that he and his brother can one day be reunited. The character of Samuel is an absolute delight; his confused and childish view of the world balances perfectly with the strength, determination, and courage that he summons to endure – and overcome – his situation. Walter has you right there in Samuel’s head, drawing on your emotions as the story develops at a lightening pace. It’s refreshing to read a middle grade author who is both brave and completely in control of his material. And when you read My Name’s Not Friday, you really feel this – the voice is so convincing, it’s almost like the author has channelled Samuel onto the page. On the back of the proof copy, publisher David Fickling states that ever since he read the story of Samuel, he can’t help measuring every other submission against this standard. I completely understand where he’s coming from; it’s a few weeks now since I read the closing sentence, and still the characters and the story linger. Although classed as Middle Grade, the story and depth of character will entrance readers of any age. Against an authentic historical backdrop, My Name’s Not Friday is a book of love, survival, belief, loss, loyalty and freedom. I challenge you to read this book and not be in awe.